The freshman forward from North Chelmsford is also projected as a top 2015 NHL draft pick, but there’s a lot of college hockey ahead of him first. It was pretty tough being away from home playing for the [USA Hockey] National Team Development Program in Ann Arbor when I would’ve been a sophomore in high school, but it helped me mature as a player and a person. It taught me responsibility, I learned how to manage my time, and I had to grow up pretty quickly — on the ice, too. I got to play against the best players in the country on a day-to-day basis, and I got to represent my country. I think I’ll look back on those as some of the best years of my life. I had a really good feeling about coming to BU — about being in the city, about playing at Agganis Arena and for this program. I remember making my campus visit. It was so intimidating to meet [former] coach [Jack] Parker, who recruited me, but he made me feel comfortable here. Coach [David] Quinn, too. Hockey East is such a hard league. That’s one of the reasons I wanted to go to college, rather than play major junior hockey. There are less games, and there’s more emphasis on each one. Every game is such a war. 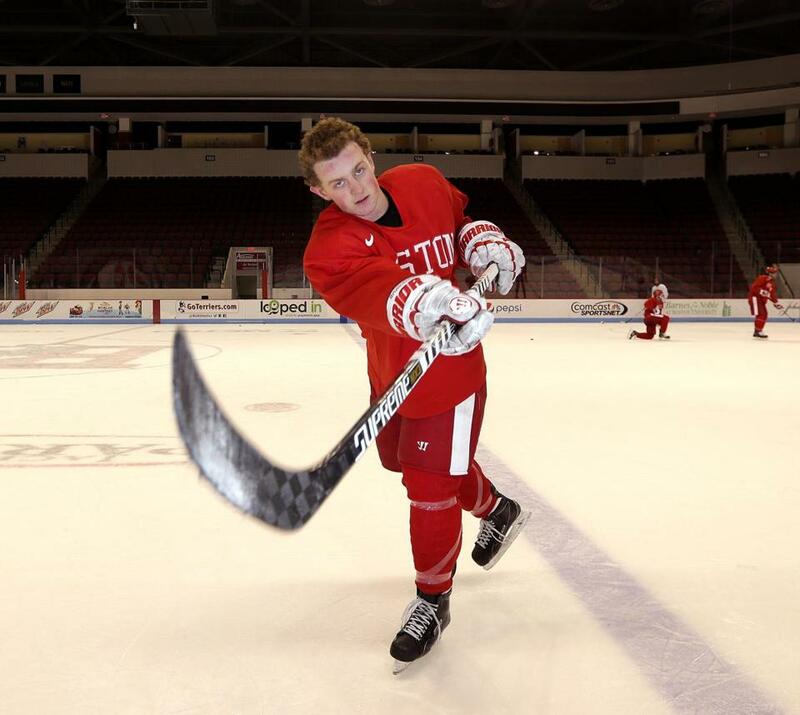 Plus, I’ve wanted to play in the Beanpot since I was little kid. And my family is just a half-hour away, so they’re able to travel to most of our games. I never played for a high school or a prep school, so it’s nice to play in this atmosphere.